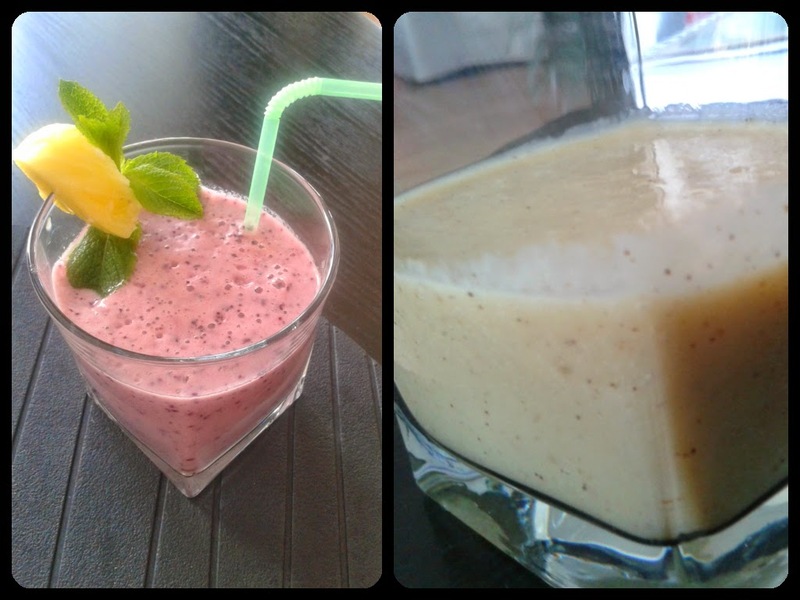 Due to high demand, I'm here to share the recipes of two amazing smoothies! It's just an easy, fast and tasty way of eating fruit & drink milk/yogurt; two things I tend to neglect. So, if you are like me, please give it a try to these two babies: I can guarantee that you won't regret! How to make these is as easy as just put all ingredients in the blender and... blend!